Building Responsive, And Dynamic Typographic Systems—Even Better With Variable Fonts - SmashingConf SF 2019, April 16—17. This workshop is intended to provide a brief introduction to the concepts of responsive typography and variable fonts (a new development in type technology). This workshop is intended for professional front-end designers, developers and everybody else who wants to better understand Dynamic Responsive Typography. You should at least be familiar with some basics of responsive design, HTML5 and CSS. Jason Pamental is a strategist, designer, technologist, and author of ‘Responsive Typography’ from O’Reilly and articles for publications and sites like Typecast, Fonts.com, .Net Magazine among others. 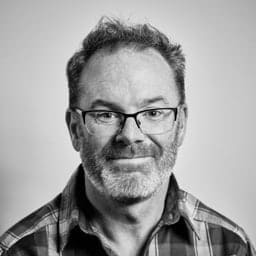 Having worked on the web since 1994 in a range of capacities, he’s an overall web & typography nerd who specializes in being a generalist. This full-day workshop will be hosted at Fort Mason and will take place the day before SmashingConf. The workshop will be running from 9:30am to 5:30pm on Monday, April 15th.